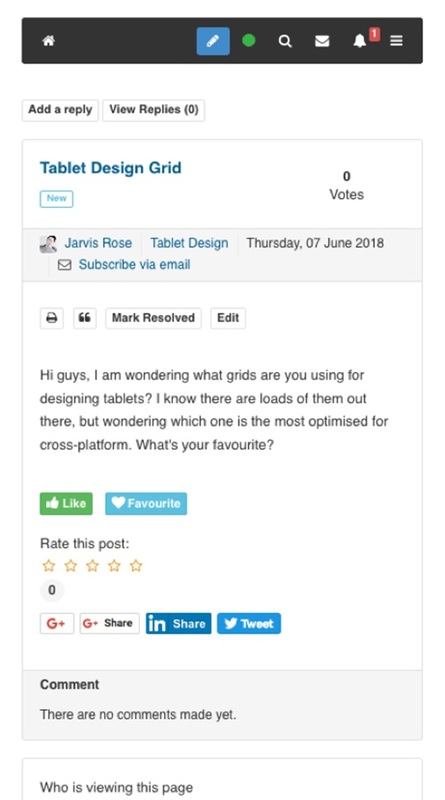 Q&A platform done right. Synergy of communication and collaboration efforts. 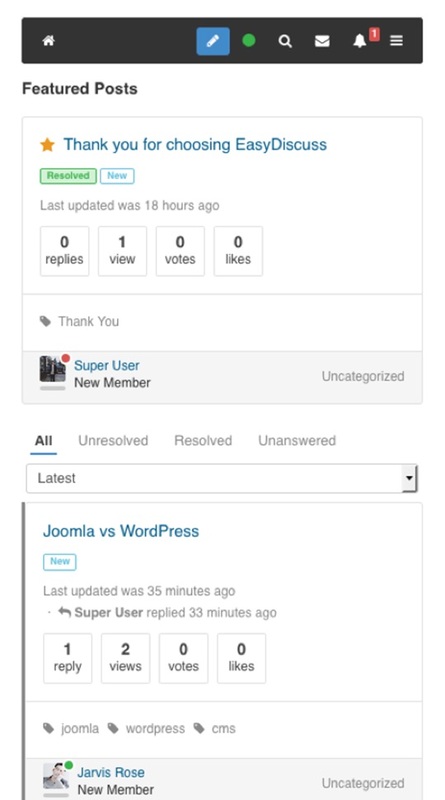 EasyDiscuss is loved by the Joomla community. 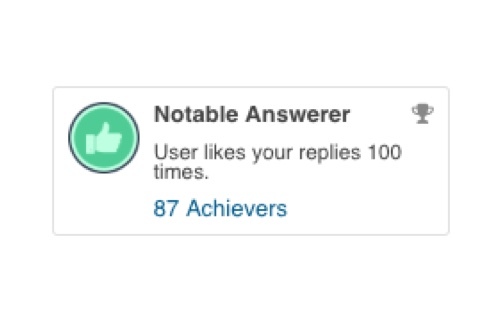 Based on JED ratings of over 69 users & counting. Equipped with some of the best features for any online forums. Freedom to download or remove personal data made on the forums. The discussions made only visible to site moderators and yourself. Password protected discussions made only visible to users with the your credential. 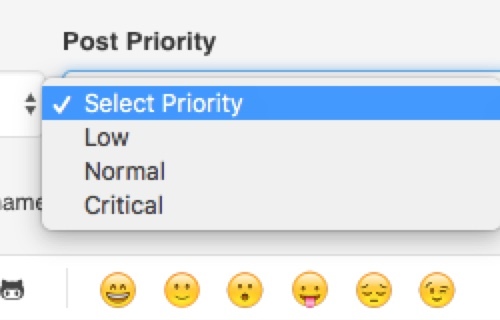 Assign the urgency of each discussion ticket. 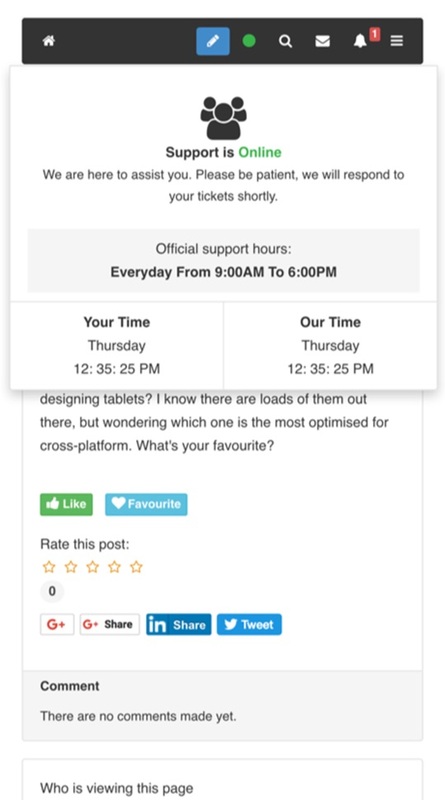 Add location on the discussion tickets with Google Maps. Take a peek on users viewing on the same discussion ticket. 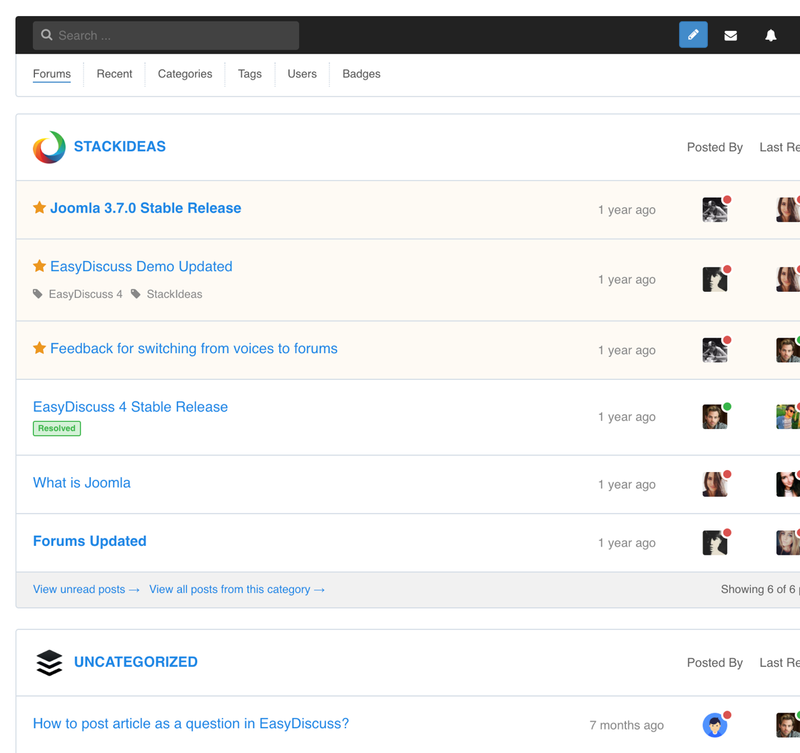 Convenient to edit and update custom css directly from the back-end of EasyDiscuss. Define the operating hours of your online forums. Create, edit and publish public holidays, which your site observers. Built-in tag system that allows more organized content and discover of new topics. Unified design with the built-in Smart Search that narrows down your search items. Configure and manage SEO settings freely. Use or install your preferred editor such as BBCode, CodeMirror, TinyMCE and etc. Configure the behavior of T&C for every discussion, reply and comment. Notify and alert the @person involved in the discussion & respond with your favorite emoji. Designed to mirror the experience of desktop powered online forums seamlessly on any mobile devices. Managing your online forums has never been easier than this. An overview of your online forums backed with a powerful yet admin friendly interface. 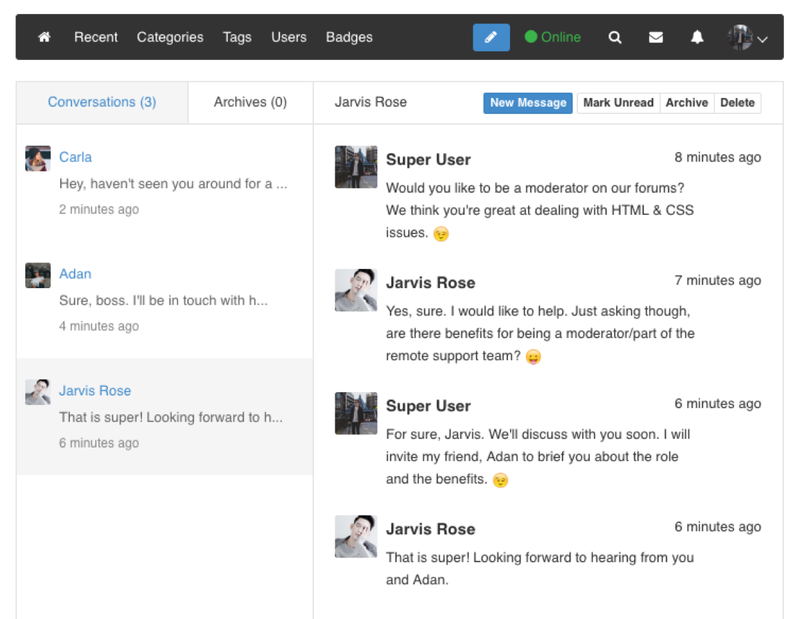 Edit e-mail templates on the fly directly at the back-end of EasyDiscuss. Manage restrictions and permissions for all user groups on the forums. 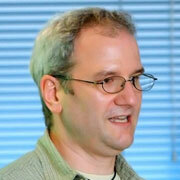 Speedy upgrades for every release available for EasyDiscuss. 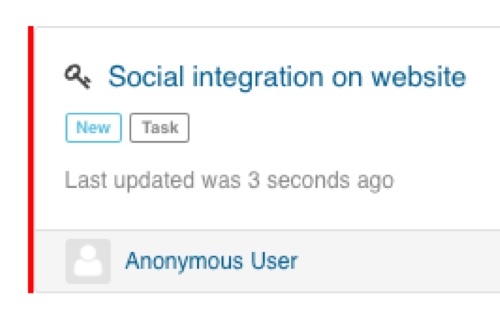 Get more sessions on EasyDiscuss by sharing discussions on other social platforms. Touch base with friends & acquaintances on a personal level. Send messages directly without needing to go the user's profile page. Attach images, documents, or even compressed files onto your conversations. 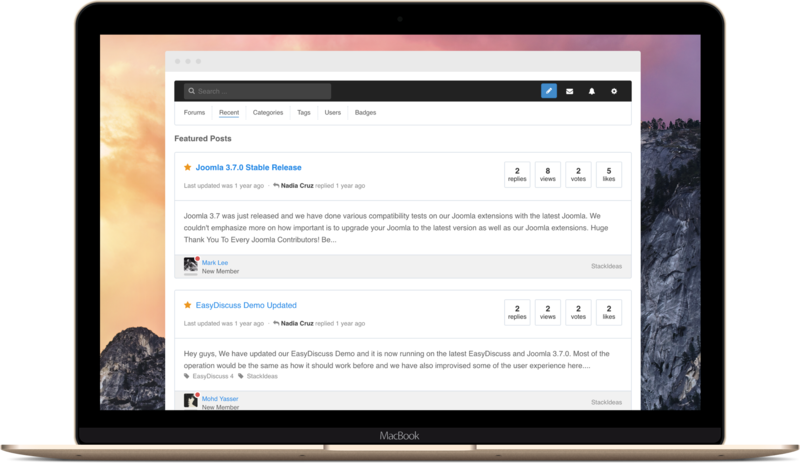 The best extension to build Joomla forums. Whether you are a service provider, Joomla enthusiast or professional web developer, our extensions are built to meet your every need. 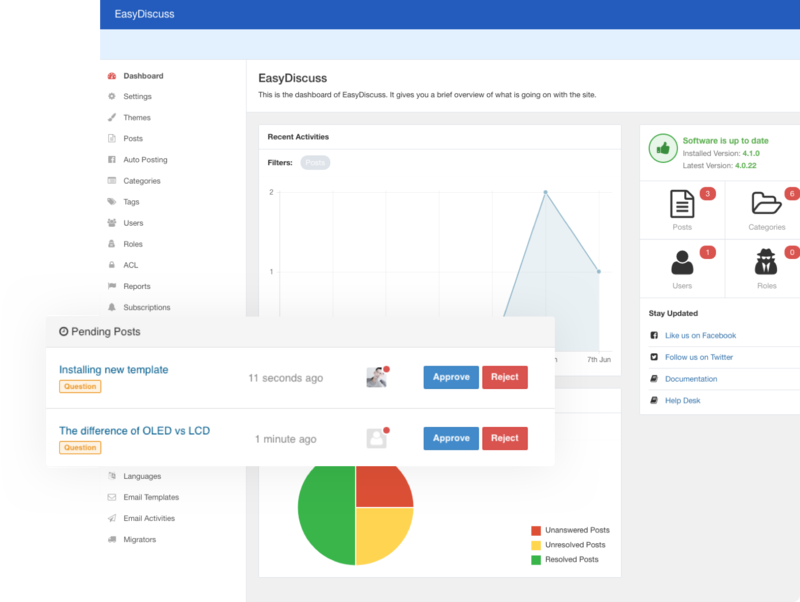 Extensive management tools fit for all site admins monitoring the site. 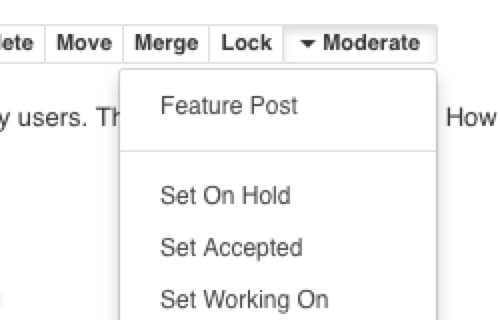 Update the status of the discussion post as On hold, Accepted, Working On, or Reject. 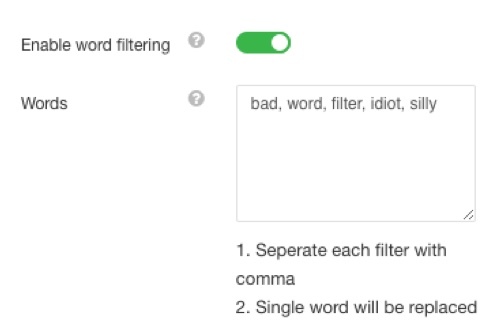 Promote positivity and omit offensive words with the built-in word filtering system. 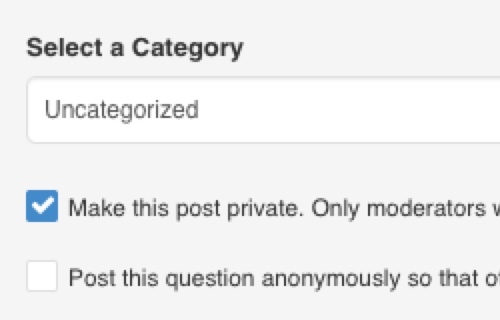 A listing page showing all the assigned posts for moderators to follow-up. 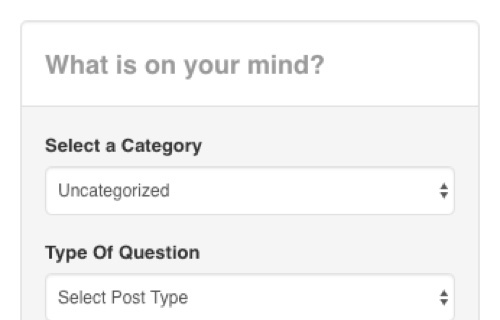 Create the different post types to make discussions to be more specific and targeted. 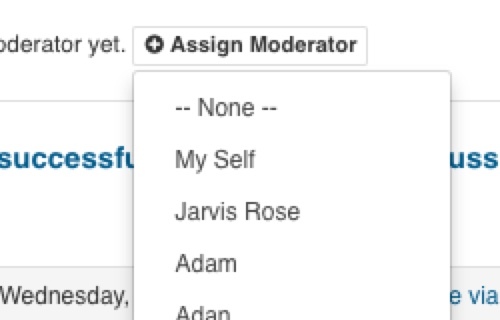 Share the workload by delegating tasks to the different moderators available. Amazing features for all users to create, submit, respond and more. Post discussions or replies anonymously, without revealing your true identity. Post private discussions and make visible only to site moderators. 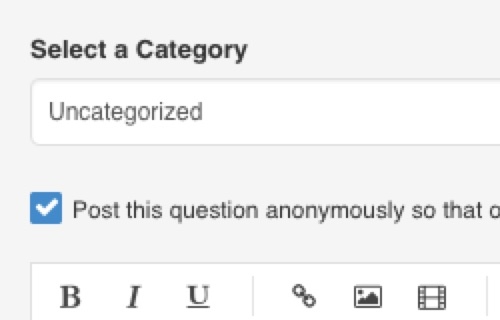 Select the urgency of the discussion post for quicker response time. Collect points, badges or level-up by participating more. 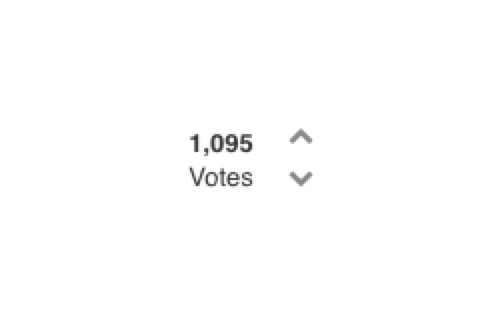 Upvote or downvote any discussion post on the site. Exercise your thoughts freely, show what and when it truly matters. 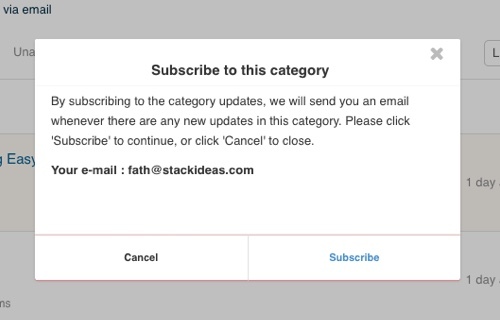 Subscribe to single posts, category post or site wide. Get the right response from the people you trusted. 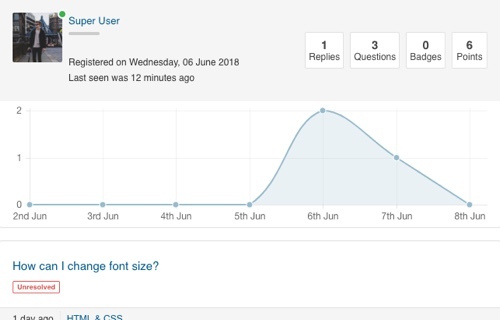 A quick overview of a user activity performed on the forums. Protect against all incoming spam activities and spam bots. 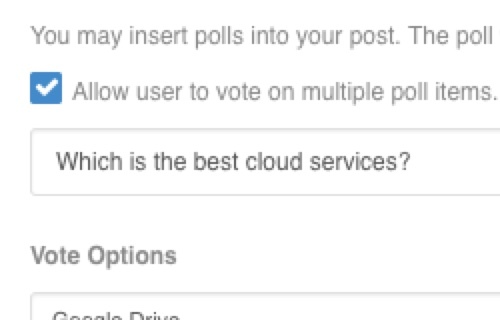 Automatically filters all replies or new discussions from any spam activities. Equipped with the latest Google - Invisible reCAPTCHA. Receive e-mail digests of specific time for every action performed on the site. Users are able to subscribe to any single post, category or site wide. Extend your forums seamlessly with the extensive list of integrations. 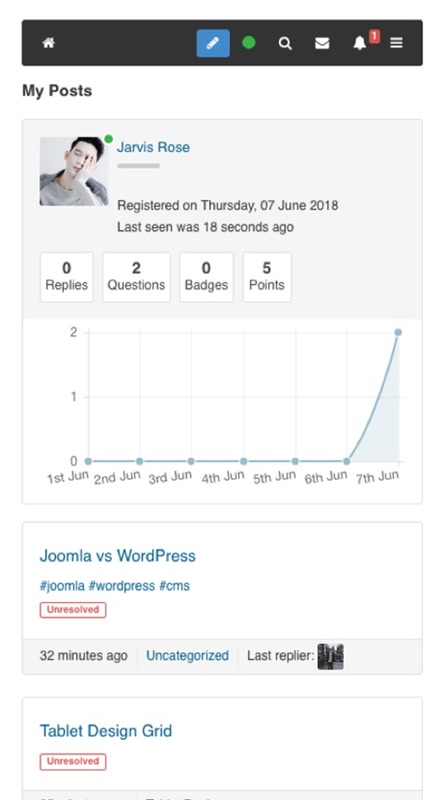 Migrate from reputable forum extensions with a click of a button. 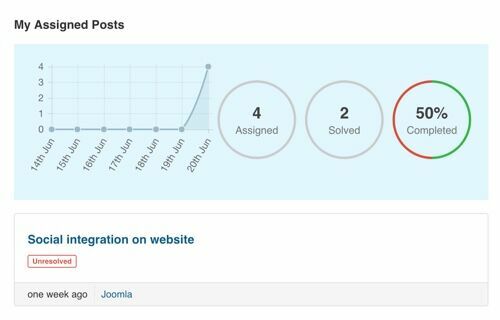 Whether you are a service provider, Joomla enthusiast or professional web developer, our extensions are built to meet your goals.